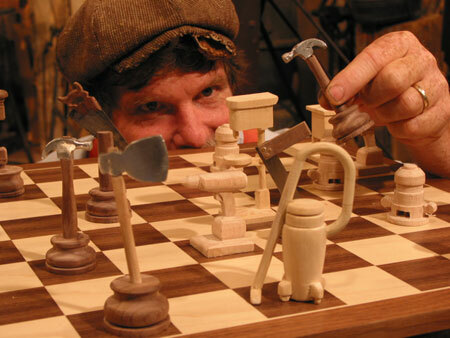 Roy Underhill – a subversive woodworker? The first time I ever saw anyone use a hand plane to work a piece of rough-sawn lumber into something useful was in Tanzania, on the island of Ukerewe, in 1998. I was part of a decidedly unskilled — at least with regards to building construction — team of newly sworn-in Peace Corps Volunteers helping with a local Habitat for Humanity project while on our way from Dar es Salaam to our sites around Lake Victoria. Brick kiln on the island of Ukerewe, Tanzania. The house we were helping to build was made from red clay bricks that were recently fired. The kiln was built right next to the house using soil that was dug from a large open pit. The master carpenter overseeing the construction was incredibly patient, not to mention gracious, as he taught us to lay bricks. The first exterior wall that we tried on our own needed to be taken apart and rebuilt by the crew of skilled masons working on the project. Our eight weeks of Peace Corps training had prepared us for a lot of things, but laying bricks was clearly not one of them. Sourcing and firing the bricks for a house on the same plot of land where the house would stand was eye-opening. But it was the hand-planing of the rough-sawn cypress boards for the window frames and door jambs that really captivated me. There were two reasons for this. First, I had just received an MS in structural engineering from the University of Central Florida. This degree program did not include any practical experience in carpentry, welding, or concrete mixing — foundational skills for actually building any of the structures we had learned how to design. Second, my father has been a woodworker for as long as I can remember, and the one tool that always fascinated me was his combination planer/jointer. This machine can turn an eight-foot board of rough-sawn lumber — bowed, crooked, kinked, cupped, or twisted — into perfectly dressed 1x stock that was ready for almost anything. I was never really interested in the woodworking as a kid, and I always dreaded the beginning of each new project my dad would start. I would be called out the workshop to stand at the receiving end of the planer and hand the boards back to my dad as he adjusted the thickness with each pass. This could go on for what felt like hours, and “That’s it” could never seem to come soon enough. But, as boring as I perceived the task to be, I always admired the finished product. Those boards came out looking better than the finished oak boards you see in Lowe’s and Home Depot that sell for something close to a gazillion dollars. What struck me about the hand planing in Tanzania wasn’t its quaintness. I had never seen it done that way before, and I was shocked that none of my previous experiences had led me to what seemed like basic knowledge about how the world (quite literally) was put together. At least the world we lived in before the advent of power tools. 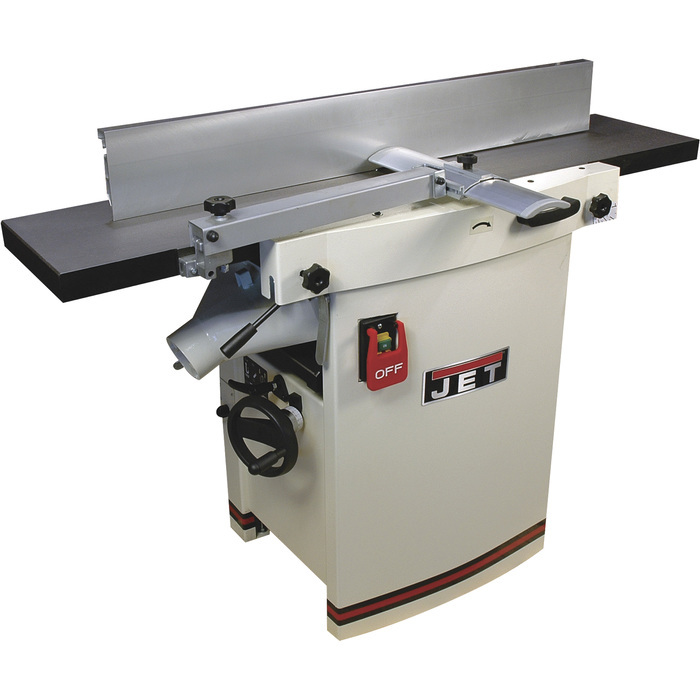 How did they dress and square rough-sawn lumber in the days before the electric combination jointer/planer? It wasn’t that I had simply envisioned a world where wood stayed crooked and nothing ever turned out square. And watch out for splinters! What probably scared me, though, was the fact that I had no frame of reference for even asking the question. In a 2011 TEDx talk entitled “Have Broad Axe Will Travel,” he explains how all the way back in the late 1970’s the only real uncertainty about climate change, from a scientific perspective, was whether or not the warming effects from CO2 would be offset by the cooling effects generated by all of the soot we were (are?) pumping into the atmosphere. These insights led him to the conviction that working with hand tools, while certainly a thing of the past, actually represents the only viable alternative for a sustainable future. All of these projects use muscle-powered tools. You can look at this approach as a conceit, as a discipline, as an aesthetic choice, or as something more urgent. The Woodwright’s Shop project began 20 years ago as a back-to-the-land assertion of self-reliance. Now, as each summer has become a little hotter than the one before, the consequences of our choices become increasingly real… choosing to work with muscle-powered hand tools makes you a little bit stronger and healthier every time that you do it, and it does a bit less damage to the only planet we’ve got. A conceit, a discipline, or an aesthetic choice? Maybe… but it is always that “more urgent” something that lies at the heart of vocational inquiry. I don’t think his story makes a strong case one way or the other that the “old ways” and tradition should always be elevated above the new and the modern. What I take away from Mr. Underhill is that means and ends are inextricably linked, and the values and ideals that one might ascribe to both are equally important. “I am doing this because…” and “I am doing it this way because…” are difficult statements to complete. Sometimes we just can’t imagine doing things any other way, and our reasons may have become so ingrained that to question them would equal heresy. Sometimes we might not even try and finish those sentences. Deep in our hearts, we might recognize an intense conflict between a set of values we hold dear and the reality our work is helping to create. So, the next time you are flipping through channels on a lazy Saturday morning (please tell me I am not the only one who does this!) and you come across an odd looking gentleman in suspenders brandishing hand tools, remember that there is both meaning and method behind what might appear to be madness. It shouldn’t be heresy to take a closer look at the tools in one’s tool chest (metaphorically, of course) and ask how they got there. Jeff Brown teaches engineering at Embry-Riddle Aeronautical University in Daytona Beach, Florida. His essay, “Unplugging the GPS: Rethinking Undergraduate Professional Degree Programs” is part of the collection Vocation Across the Academy: A New Vocabulary for Higher Education (Oxford University Press, 2017). It can be revelatory to watch experts with hand tools. As an undergrad, I spent a term in Williamsburg and had the good fortune to see Underhill turn a table leg using a foot pedal powered lathe that used a tree branch to store and release energy from the foot pedal. The speed with which he accomplished this task was breathtaking! More recently, in the Midwest I have watched workers carve out mortises and tenons in large timbers for use in traditional barn construction. Their speed, precision, and accuracy with a hand axe was astonishing. A friend of mine is a carpenter and classical musician who can hear whether or not his planes are adjusted properly. I wonder what we have lost by getting rid of shop class in jr. high and high schools. Many of my college students have never really made anything with their own hands, and when faced with having to build an apparatus for an experiment struggle for a bit. The kids who grew up on farms know how to do things and solve problems in the physical world. Thanks for your thought provoking post. Thanks for the response, Kevin, and my apologies for the delay in getting back to this. We just got to visit Williamsburg this past spring break with the family, so quite a bit of this piece was worked out in my head while we were walking around. My biggest surprise came when I passed by one of the smoke houses and saw what looked like hams hanging from the ceiling. I couldn’t quite tell if they were real hams or just plastic replicas, so I asked the cook who was giving a nearby demonstration. That was the last time I would ask if anything was plastic! But the question that transaction raised for me was just how long could they keep a ham in the smokehouse? She told me that a ham would still be edible for eight years! But she had a firm rule of never eating anything older than two…. something about the fat getting grainy. In any case, I appreciated your comment. I have a long way to go before I can hear whether or not my planes are adjusted properly! I’m still trying to figure out how to keep from gouging out big chunks of wood! No worries about the delay; it is summer after all! Your mention of the ham prompted another Williamsburg memory that relates to your original post. There was a cooper who was making barrels that had to be water-tight. He carved the staves by hand and fit them by eye to do this, which was absolutely astonishing to me. The staves are curved lengthwise and beveled on the edges to form the circular cross-section of the barrel. I still marvel at the skill and the speed at which he worked. Thanks very much for the comment, Jason! I was initially motivated to develop this post after reading Shirley Showalter’s latest contribution that focused on Robert Frost’s poem, “Two Tramps in Mud Time”. After struggling with finding the right way to make the connection, I ended up just focusing on Roy Underhill as an example. The post I am working on now, however, will try to fill in this gap and reconnect to Shirley’s work. Unfortunately, this will probably drift us even further from the practical question that you asked! I just finished reading William James’s essay, “What Makes a Life Significant”, that appears in the prologue of Mark Schwehn and Dorothy Bass’s anthology, “Leading Lives that Matter”. James addresses the divide between the “life of the mind” and the “life of labor” in a very interesting and eloquent way. The point he makes is that either one, without a fair dose of the other, isn’t going to add up to something inspiring. James also highlights the trouble we get into when these two approaches (and those who adhere to them) fail to appreciate any of the value added by the opposing side. This also seems relevant to some of our modern political divides! Reading about it, of course, is hardly the same as doing it or living it. One potential way to open this up for students might be to have them (and us) consider the “labor” required to study or do research. It’s certainly not the same as planing boards or laying sod, but the resulting “I’m tired” might bear some similarities. Thank you for yet another really powerful and helpful post, Jeff. I am especially struck by your compact turn of phrase about the means and the ends of good work being inextricably linked. I feel convicted and inspired by what you write here. I wonder how to enable undergraduate students–who largely disregard what used to be called “the servile arts–to reconsider the meaning and purpose of working with one’s hands. I’ve tried to teach *Shop Class as Soul Craft* to get at some of this, but not terribly successfully thus far. Any suggestions (from any and all) for how this can get into the classroom?